Let me start with a confession. I was a social media addict. I’m reformed today. Why do I describe myself as a “social media addict”? For me, it started off with Blogs. At first, it was reading blogs. Then it was writing blogs. Then I moved to FaceBook. And then to Twitter. Briefly, Pinterest caught my fancy. At one time, infographics, videos and visuals were my muse. Because there have been times when I spent 5 / 10 / 15 / 20 hours on social media – all at a stretch and all in a day, and sometimes for days at length. I have no clue what I exactly did during those hours. But it felt good at the end! I have missed basic human needs – like food, sleep! I have missed paying bills (not taxes, Thankfully! ), social appointments, pressing personal requests, urgent phone calls, work deadlines – All because I was hooked on social media. When I started using social media several years back, it was out of sheer curiosity. What started off as “Let me see what this beast is” quickly became “The beast controlled my priorities, my time, my life”. But not anymore! And I’m thankful for that… It took me a while to get here… But I succeeded..
Social media can be an addiction – like TV, or sports, or music, or dance, or alcohol, or art, or video games, or reading, or whatever else keeps you hooked.. It can slowly and steadily control your life, time and priorities.. But first? Why and how do people form addictions? That is a interesting topic in itself. I think there are plenty of reasons. From having lots of time, to lack of a purpose, to lots of money, to lack of confidence, to a quest for doing nothing, to dealing with stress, crisis, emotional ups and downs, the good bad and ugly that life throws at you…. But most importantly, addictions are really about HABIT FORMATION. And I fully agree with the quote above. So, how did I go about my process of social media de-addiction? I have share a high level snapshot of what worked for me below. It took me about 6 months to get there, but totally worth it! My greatest high was when I stayed away from social media for 5 days in a row! Trust me, it is possible and you will survive,and the world goes on (both the real-world and social media world). And the good part was that I found time to revive several other old interests along the way – from running, to reading to creative art! So it’s all good now! I hope it helps you or anyone else you know who is keen on embarking on this journey. MIB – Marketing In a Box??? Every new age marketer aspires to play a ‘strategic role’ to business. By strategic, I mean being able to consult, advice, guide and recommend businesses on “What to do and How?” – in terms of customer experience management, business / solution / service / product / pricing strategy, trend spotting / fore-casting, competitor intelligence, global branding and advocacy. So where does the marketer’s time go? Below is a snapshot based on my own personal observations and interacting with fellow-marketer’s along with the state that every marketer desires.. So, what are possible solutions? One could be to outsource the ‘day-to-day marketing operational’ activities; so marketer’s can focus a significant portion of their time and efforts on the analytical / strategic work. This can be enabled through a combination of outsourcing and the power of technology. Broadly, I call this solution “MIB or Marketing-in-a-Box”. So what is inside the box? The people, processes, technology required to perform all the day-to-day operational activities in marketing. This includes knowledge, tools, frameworks, best practices, guidelines, know-how, etc. 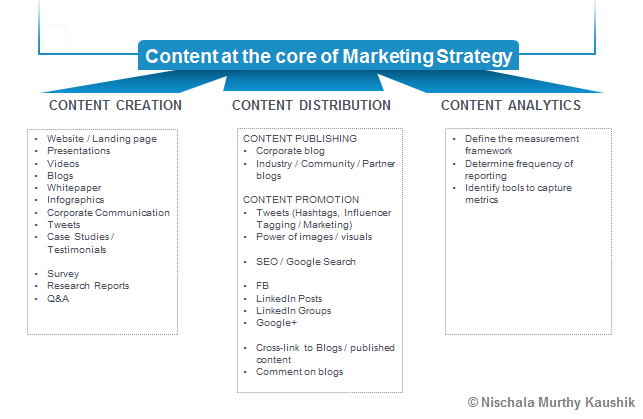 which take care of most of the “marketing operational” activities. As a consequence, marketer’s can mostly focus on strategic activities which deliver business impact. Do you think such a solution will help marketers? Leave a comment to let me know..
Addendum : There might also be potential to offer sub-specialization “Boxed” services like “Content Marketing-In-a-Box”, “Digital Marketing-In-a-Box”, “Social Media Marketing-In-a-Box”. I hear this feedback all the time in my network. Blogger, Twitter enthusiasts, friends, colleagues – Before I used to try to probe further in an effort to help.. Now I just listen and nod. So in this post, I am sharing what I’ve understood about Social Media based on my personal experiences..
What adds to the Power Quotient of Online Social Communities? I started this year (2015) with one thought – To do one thing which I have never done in my life before. As January zoomed by, I pondered and wondered over what I should do? It was during a random browsing activity that I came across an article by Sheryl Sandberg, FaceBook COO in which she encouraged women to create peer support communities to help each other navigate through the complex maze of managing work and life. I thought to myself – “Why not try creating one such group? I mean I’ve never done it before in my life, and it made complete sense to me”. Simply because I personally feel that working women could significantly benefit from a “closed and trusted” group of women we can fall back / count on. And I’m not talking about “friends” here. But really a diverse, balanced well-meaning support community of women who are a sounding board to face the good, bad and ugly that life throws at you. Because from personal experience, I can say that it is no easy piece of cake for most women at work – And we all need to help us tide through the choppy waters is an acknowledgment. Or appreciation. Or re-assurances. Or validation. Or just knowing that someone is there with you. Or a neutral perspective. Or a judgment free zone to share what they really think and feel! Sometimes we need a cheer-group, and sometimes catalysts to push us on. Or a nudge that It’s all going to be OK. I speak from experience here. So, I went ahead and created an online LeanIn circle, and as of date we have a vibrant group of some diverse, amazing and accomplished women from all over the world. We also had a real-world meet-up and it was wonderful to meet these women in person. Again, it is the first time that I have actually taken relationships from the virtual world to the real world. On the personal front, as a mother – I am part of an online school mummy group which we use to share any questions / answers / information / insights / perspectives around the growth and development of kids. What I learn from the conversations and interactions with mothers in this group is invaluable. The one unifying bond is a commitment to invest in the growth of our kids, and that has cemented a foundation of mutual trust and respect in each other. Again, I’ve never even met some of these mothers in my life, and yet whenever I am in doubt / have a question, I post it there and someone always responds in a few minutes. Also over the course of the past several years as a mother, I recognize the need to have a local support community of mummies, so went ahead and created one a few months ago. Again, the lessons and information we share and learn from each other is awesome – Things like summer classes for kids to suggestions for pediatricians, etc. are shared. Again, this group is very diverse – so we have doctors, entrepreneurs, mummies with corporate jobs, educators, stay-at-home moms; and this diversity only enriches the group. Going down memory lane – For the past 2 years,I have been a member of several online groups, and have immensely benefited from many of these connections and conversations. And now as the owner of several online social communities, I can say one thing for sure – THERE IS POWER IN ONLINE SOCIAL COMMUNITIES. I have witnessed scenarios when community members have offered well-meaning life changing advice to each other, helped each other tide through difficult times of physical, emotional, mental, marital, parenting and financial distress. I have also seen live cases of a community supporting several social causes with the sole aim to make a positive difference in the world. However I have also observed that there are many communities which really go nowhere. They start with full gusto, but after some time – they get dormant! And die a natural death! So, I couldn’t help asking myself the big WHY? Why is it that some communities die a slow and natural death, and some continue to thrive and get powerful with each passing day? In this post, I am sharing my views on what matters for an online social community to thrive? It is fascinating and interesting to observe what brings random unknown strangers from different walks of life together to create a community. It could be anything – like where you live, your gender, your role as a mother, a love for reading, writing, music, dance, entrepreneurship, etc. Whatever it is – a common interest brings people together. But what keeps a social community alive and kicking is shared goals / vision of the future. So, the key question is “What do you want to do together?”. For e.g: Do you want to help each other achieve your fitness goals? 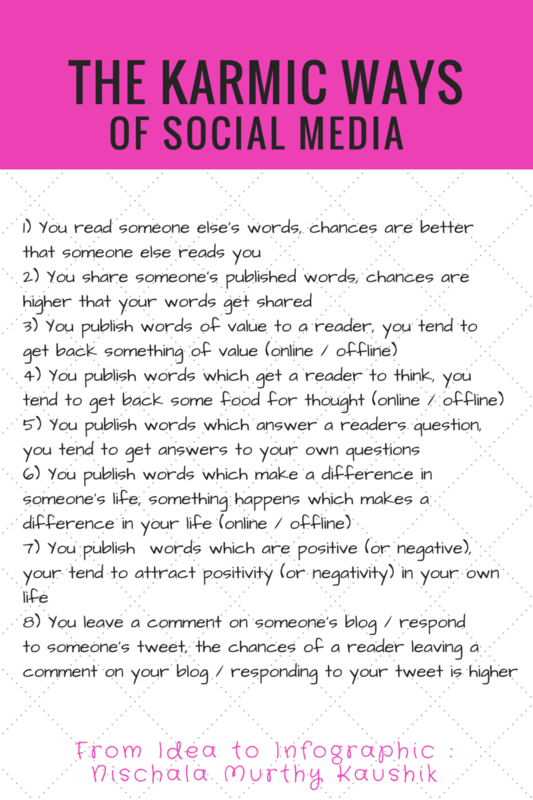 Or do you want to share your blog posts so others can read? Whatever it is, it should be clear; and spelt out. Else, a group will not really go anywhere! What are the rules of the community? For everything in life – from kindergarten to a corporate job there are some ground rules, and abiding by those rules are key for order, progress and peace. It is even more important for online social communities – since you are interacting with people you don’t really know, and your words and views can affect someone else’s thoughts and emotions. So define rules, and if members don’t follow the rules – better to remove them from the group. One dirty fish spoils the whole pond! Who is the owner of the community? The best analogy I can give to being the owner of a social community is that of the CEO (Chief Executive Officer) of a company. That is where an individual’s values, personality and leadership style come into play. As the community owner, how one nurtures a community, and helps the community navigate the path towards a shared vision / goals plays a key role in what the group evolves to be. This is possibly the most important part in what determines the longevity and life of any online group. Let’s face it – We are all busy, trying to do a zillion things in life. So, to catch our attention – anything needs to interest us and engage with us on an individual / personal level. Hence the communities which stay alive longer and get powerful over time are those which are better engaged. And engagement is really a function of the diversity of the members in a group and getting people to share, connect and support each other in whatever way they can. Quoted in “Are entrepreneurs born or made? 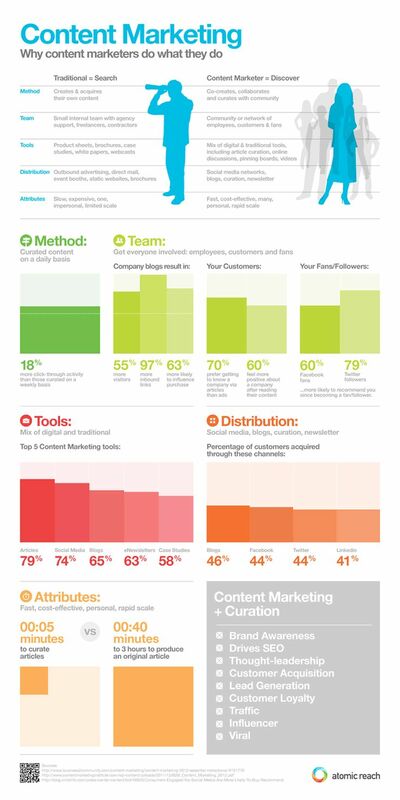 Infographic | So what do the ‘Content Marketers’ do? Do you participate in Tweet Chats? 6 Compelling reasons you should.. I started participating in Tweet chats several months ago. At first, it was just out of curiosity. Over a period of time, I realized the many benefits (not to mention, I enjoyed myself too!) and continue to participate in a few chats regularly. 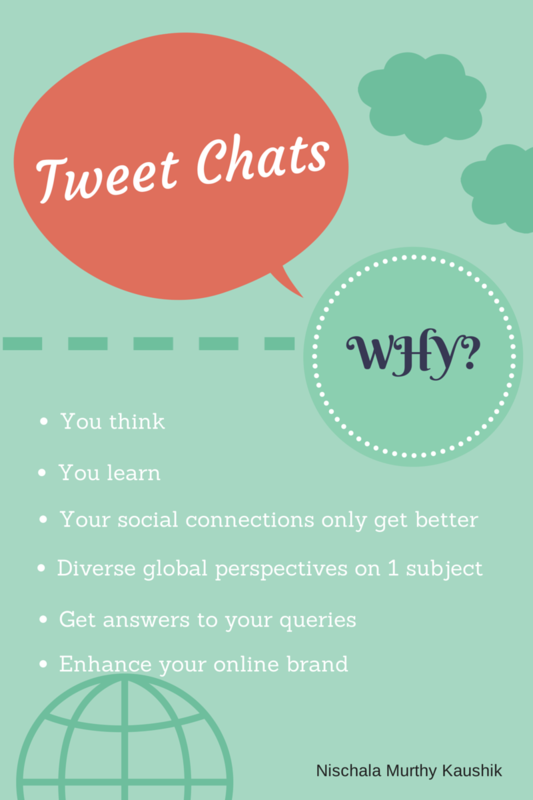 Some of the Twitter chats that I’ve been part of include #Bufferchat, #Eduin, #IndiaHrChat, #chrdx, #hrtrends, etc. According to this Forbes article, a Tweet chat is a live Twitter event, usually moderated and focused around a general topic. To filter all the chatter on Twitter into a single conversation a hashtag is used. A set time is also established so that the moderator, guest or host is available to engage in the conversation. From what I’ve read, the very first Tweetchat (popularly known as #blogchat) was hosted Mark Collier in March 2009. The response was so good that Mark continues to host this chat every week – 8 PM Central. Each week a different blogging topic is chosen, For e.g. : sometimes it is about personal blogging topics, other times the focus is about business blogging. There are more than 5000 tweets on an average during every 1 hour chat session!!! For more details, click here . (1) You think : One the reasons why I enjoy being part of Tweet chats is that they compel you to “think on your feet” about very pertinent questions around a topic. Questions which may be you’d never think about. By being part of a tweet chat, not only do you have to think – but answer publicly state your response. So you really need to think quickly and respond concisely and creatively (in 140 chars), which is a good exercise for your left and right brain! (5) You can get answers to your own queries : The other good thing personally for me is that many times if I have a question, I raise it during tweet chats and invariably get some of the best answers. So it is like “googling” for your query, just that here the responses are from people who know / are genuinely interested in the subject under discussion. And many times there are several global industry experts / gurus who join into these discussions. (6) You enhance your own online brand : Sharing your unique views, voice and perspective based on your experiences / thoughts during a tweet chat gives you an opportunity to create and enhance your own online brand – What you say makes all the difference in the online world , and goes to create and enhance your online brand. And all of the above with the only investments as your time, your thoughts and a willingness to share… Those are my 6 reasons.. Do you participate in tweet chats? Yes / No.. Why? Leave a comment to let me know.. Being among Twitterati – What it takes and what it means? The post starts off with “There are tons of women on Twitterati making their mark. 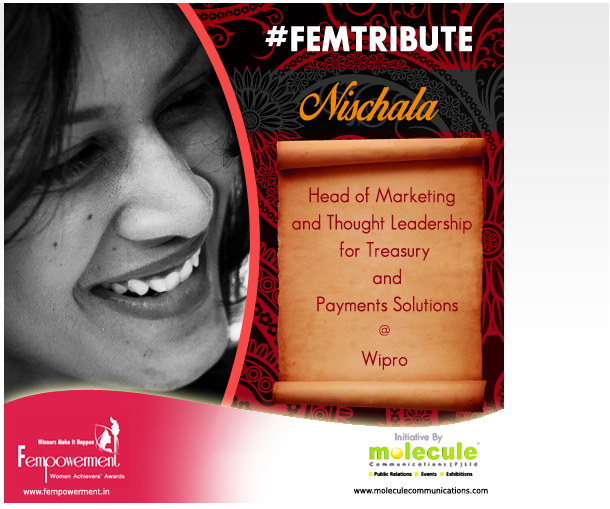 SHEROES list down a few Indian women who are impacting the space in a massive way“. Being included as ONE among 20 Indian woman is indeed wonderful. I do follow many of them on Twitter, and I know that they are doing their bit and best to make a difference in their sphere of influence with their tweets. Being featured amidst such amazing woman was indeed a a great honor and a humbling moment. It makes you happy, get attention (both in the real world and virtual world) and is extremely gratifying. Being in the spotlight makes me happy. Recognition is a great motivator in Social Media and in life. Interestingly both the lists have several common names too! But that’s not what this post is about? It is about my views on Why such lists are important? Why these women find a spot on these lists? And what it takes to be here? So first.. Why such lists are important? (3) They enable fostering networks and relationships amongst women and that is indeed a powerful force to reckon with – which can be the catalyst and harbinger for the cause and voice of many women’s issues. Why these women find a spot on these lists? And what it takes to be here? And yes, before I forget another pleasant surprise came my way a few days back. The kind folks at Fempowerment Awards ‏@FempowermentMC Femspiration sent my way a #FemTribute . As I sign-off, I’d like to say Thank you to all those who create these lists, and to all the women who continue to make a difference in their own way , in their own sphere of influence!